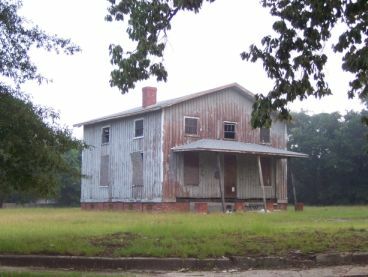 Wilson Collegiate Institute, a private, nonsectarian school located in the eastern North Carolina town of Wilson, opened on 2 Jan. 1872 with 17 students and was chartered by the General Assembly on 24 January of that same year. Founded by Primitive Baptist-affiliated town leaders, the school was granted the right to confer degrees and diplomas in literature, science, and art. The building that housed the institute-constructed in 1859 as the Wilson Female Academy-had been converted to use for a short period as a Confederate military hospital during the Civil War. It was purchased by the founders of Wilson Collegiate Institute in November 1871. The success of the institute, which grew to an enrollment of 303 during the 1883 term, is attributed to the leadership of the schoolmaster, Sylvester Hassell, an 1862 graduate of the University of North Carolina in Chapel Hill. By 1871 Hassell, an elder in the Primitive Baptist church, had established a reputation as a scholar and educator. He had taught mathematics and languages at the State Normal University in Wilmington, Del., and for a short time served as principal of the New Castle Institute in the same state. An early proponent of coeducation, Hassell equipped the school with a library of 1,200 volumes and more than 60 periodicals, recruited a distinguished faculty, and developed a comprehensive, classical curriculum that offered classes in business, science, mathematics, English, philology, and music. He established what is reported to have been the first practical agricultural department in the eastern part of the state and was a pioneer in strawberry cultivation in North Carolina. Several students of the Wilson Collegiate Institute ascended to positions of leadership at the national, state, and local level. Perhaps most noteworthy was Josephus Daniels, who grew up in Wilson and started his newspaper career there. Daniels went on to become the editor of the Raleigh News and Observer, served as secretary of the navy under President Woodrow Wilson, and eventually was appointed ambassador to Mexico. Charles B. Aycock, governor of North Carolina from 1901 to 1905, also attended the institute. Wilson Collegiate Institute made a significant contribution to the education of people in Wilson and eastern North Carolina between the Civil War and the advent of public graded schools in the state. In the fall of 1886 Hassell gave up his responsibilities at the school and returned to his home town of Williamston. One of his pupils, Silas E. Warren, took over the school's administration and remained as schoolmaster until his untimely death in 1894. The school's enrollment had dropped to 63 students, most of them female. According to published accounts, the institute property changed ownership during the ensuing years, but efforts to maintain the facility as an educational institution failed. Josephus Daniels, Tar Heel Editor (1941). Clark Gerow Shreve, "The Development of Education to 1900 in Wilson" (M.A. thesis, UNC-Chapel Hill, 1941). 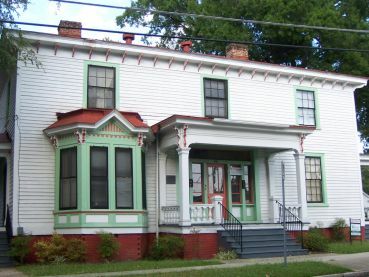 James E. Gorham House, built ca. 1853, housed the Wilson Female Academy. Image courtesy of Wilson. Available from http://www.wilsonnc.org/departments/developmentservices/historicpreservation/historiclandmarks/?LOCID=32484 (accessed November 6, 2012). Building became the Wilson Collegiate Institute in 1872. Image courtesy of City of Wilson, NC. Available from http://www.wilsonnc.org/departments/developmentservices/historicpreservation/historiclandmarks?LOCID=64122 (accessed November 6, 2012).